In his widely acclaimed book Time to Start Thinking, Financial Times chief U.S. columnist and commentator Edward Luce charted the course of America's relative decline, proving to be a prescient voice on our current social and political turmoil. 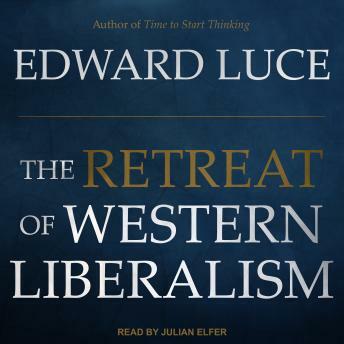 In The Retreat of Western Liberalism, Luce makes a larger statement about the weakening of western hegemony and the crisis of liberal democracy-of which Donald Trump and his European counterparts are not the cause, but a terrifying symptom. Luce argues that we are on a menacing trajectory brought about by ignorance of what it took to build the West, arrogance towards society's economic losers, and complacency about our system's durability-attitudes that have been emerging since the fall of the Berlin Wall. We cannot move forward without a clear diagnosis of what has gone wrong.